Get ready for a pink feast for the eyes in the Pudong New Area as the Shanghai Peach Blossom Festival bursts into bloom on Saturday. The peach trees will be in full bloom at Datuan, Huinan, Laogang, Xinchang and Zhoupu towns in Pudong into April. “This year’s flowering period was delayed because of the lower temperature, rain and lack of sunshine between mid-February and mid-March,” said Gu Zhixin, director of the peach research department of the Shanghai Pudong New Area Agricultural Technology Promotion Center. The early varieties of peach flower like Yulu are forecast to bloom from March 23, late varieties from April 3, according to the center. At Xinchang, delicious peach flower treats such as pastries and lattes will be served. Datuan Town will organize calligraphy and painting exhibitions and a photography competition during the festival, while Huinan will host a peach flower market and a bonsai exhibition. Xinnan Village in Xinchang will host a wall painting display, and Zhoupu will present craft exhibits and folk performances. The Shanghai Tower in Pudong will host an exhibition, Peach Blossom in the Air, while the Jin Mao Tower will create a peach blossom path on its 88-floor observatory. A peach blossom show under water will be presented at Shanghai Haichang Ocean Park in Pudong. The festival will run through April 15. 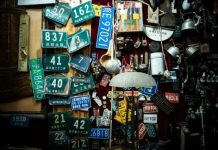 Nine suggested routes string together flower appreciation spots, tourist attractions and minsu (bed-and-breakfasts) in Pudong. They include Haishang Taohuayuan (The Land of Peach Blossoms), Nanshan and Shanghai Flower Port. Shuttle buses between metro stations on Line 16 and peach flower towns will be arranged during the festival. Elsewhere, flowers are also in full bloom. At the Chenshan Botanical Garden in Songjiang District, magnolia is in its best season. The magnolia garden features 90 varieties of magnolia which will bloom through early April. Kawazu-zakura cherry blossom is also in full bloom. The botanical garden has a 550-meter boulevard of the flowers. 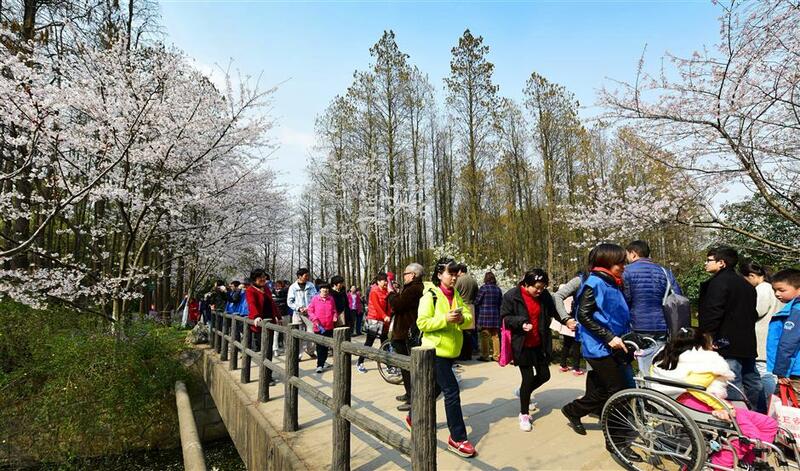 At Gongqing Forest Park in Yangpu District, a 300-meter cherry blossom boulevard boasts more than 400 trees. In the park, about 1,000 peach flower trees, magnolia and other varieties of plants including blue glechoma and purple Chinese violet cress are also in bloom.